Written for the Amsterdam Dance Event (ADE) special edition issue of Dutch publication DJ Broadcast. Distributed to 5,000 industry delegates who attended the Amsterdam Dance Event (ADE) in October 2014. Also widely distributed as a free publication throughout Amsterdam during October. 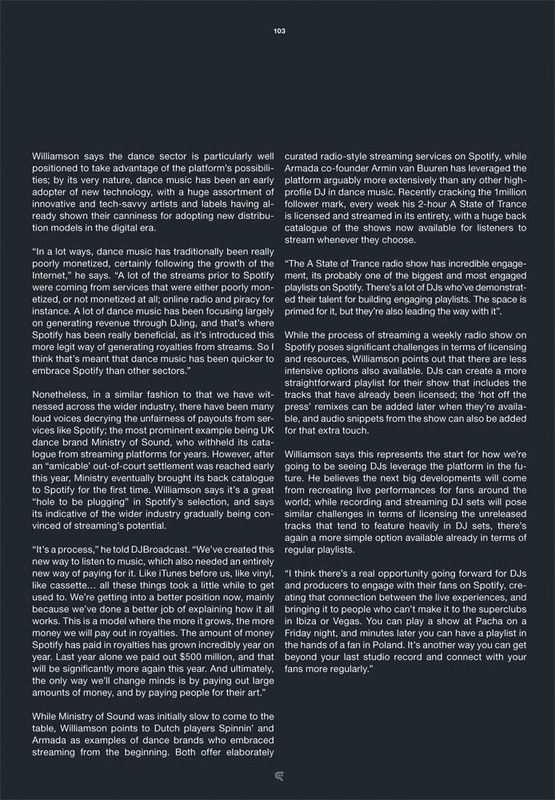 Includes an interview with Mark Williamson, director of the Artist Services team for Spotify in Europe. 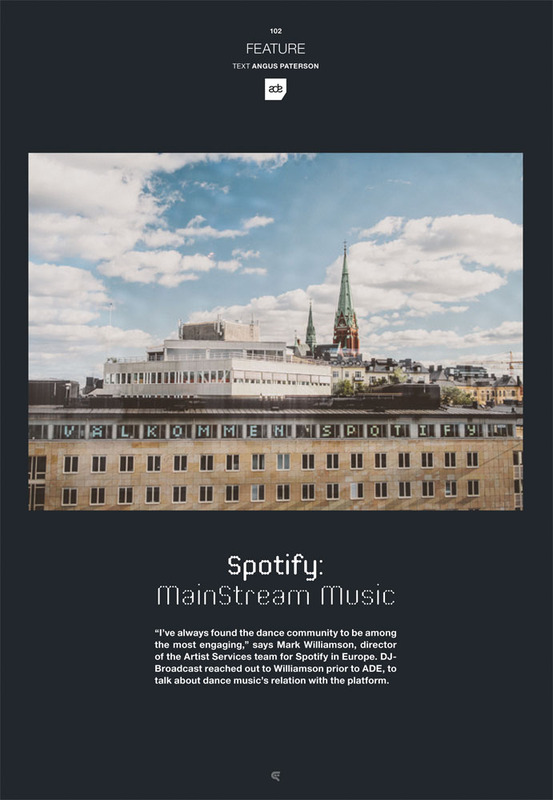 Discusses in detail the growth in popularity of music streaming services, and the implications for the dance music industry.